The Pet Blogger Challenge group will be covering a different topic every other week. 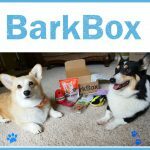 This week is our favorite pet hacks! My favorite hacks involve tennis balls. You see, tennis balls (or any ball for that matter) are popular in our house. Ty can’t get enough of them, and so we always have a ton of them around. 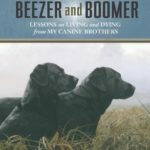 The first and favorite hack of mine comes from the dog’s love of brain games. 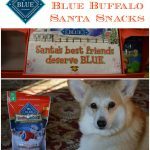 Stimulating your pet’s mind is a great way to keep your pets entertained, active, and happy, but commercial treat games are expensive! I originally saw this idea on Pinterest and replicated it myself. 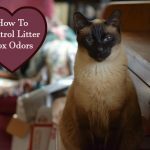 This works for cats too, although they have to work a bit harder at it. 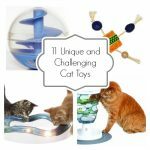 You can also replicate it for cats with ping pong balls and a mini muffin tin. 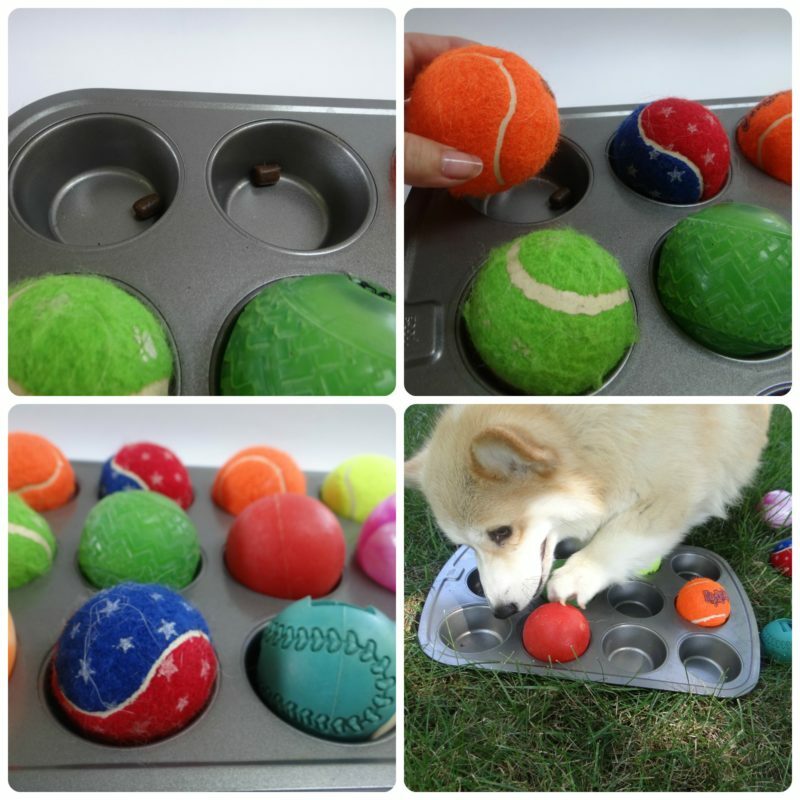 For this game, take a muffin tin, place treats or pieces of food in the bottom of each pan (I use freeze dried meal toppers), and then set balls on top of it. Your dog has to work to get the balls off to get to the treats. Evie loves this game! 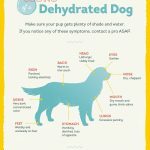 Does your dog eat way too fast? 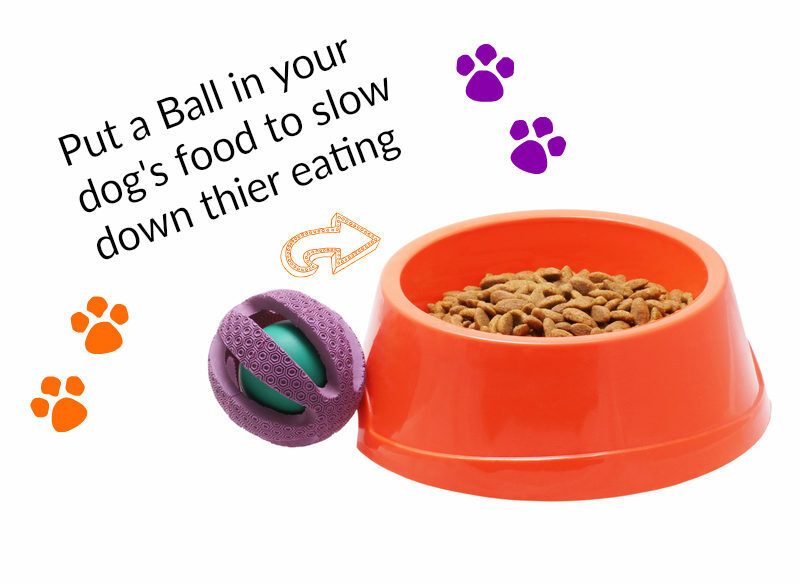 Simply drop a ball in their bowl on top of the food so that have to slow down to work around it. Note that, if you are like me and feed moist food, you will want to use a smooth plastic ball or rubber ball, since a tennis ball will collect food stuck to it and be harder to clean. I haven’t gotten this yet. I plan to order it! 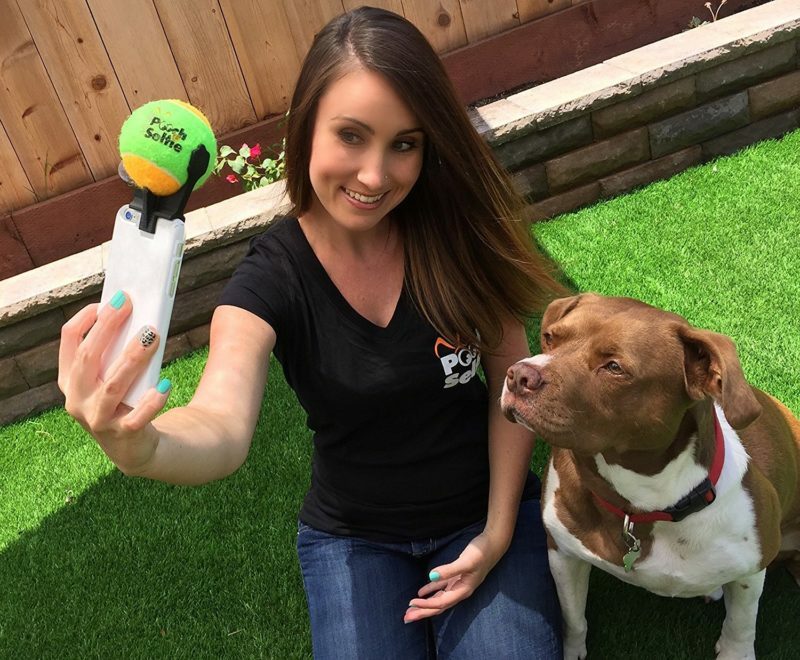 With the Pooch Selfie: The Original Dog Selfie Stick (affiliate link) a tennis ball is snapped into a clip that sits atop your phone. Your mesmerized dog will then look right at the camera! 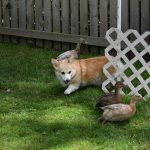 See more pet hacks from the other members of the Pet Challenge Group! Thanks for sharing some great hacks! We especially love the balls and muffin tin game. Super cute ideas! Gonzo is VERY ball oriented and so I think he would rather the ball then the treats though…..I’ll have to try this with the horses when eating their grain to slow them down. What awesome ideas!! I have always wanted to try the iPhone photo taking ideas. I’ll have to get working on that. Thanks for sharing this. A friend of ours uses tennis balls and a muffin tin to slow down her dog. And it really works! He tends to gulp otherwise. 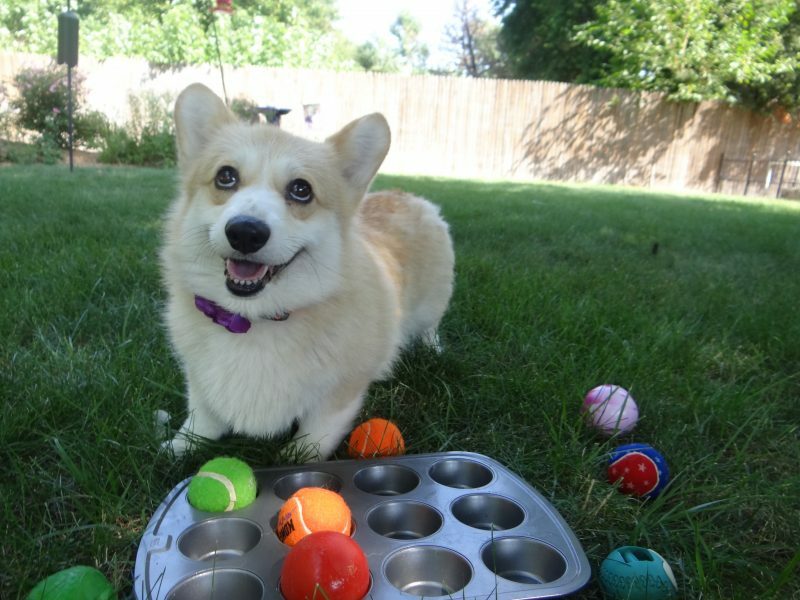 OMG, I love the muffin tin tennis ball game. And since I don’t bake, what a perfect use for my muffin tins! Also, love the selfie hack. Thanks for organizing this challenge. Super fun! Great ideas! Tennis balls tend to be plentiful around my house so it wouldn’t be hard to put them to use for these hacks. For cats you could also try wiffle balls with the regular muffin tin. You can find them cheap at the dollar stores this time of year. These are great ideas. Looks like that selfie ball really does work! That pup is mesmerized. My dogs like the tennis ball and muffin tin game. It is fun to see their different techniques. I tried the ball in the bowl with Theo, but he just took the ball out after a few seconds. I will have to see if it slows the other two down. 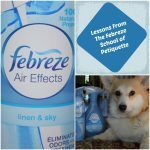 There are some good and cost conscious ideas here – well done on a great post! 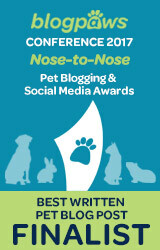 we aim to be in the next Pet Blogger Challenge! Cost effective and easy…..got my vote! I like the Selfie Stick. Thanks for sharing! 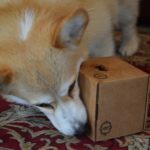 Thanks for providing a useful “hack.” I’ve looked at the super pricey pet brain game type toys. But this is exactly like those, except it is homemade with love, and at a better price! Also, for tiny dogs, one can buy mini-muffin tins and tiny tennis balls! What great information! What a neat idea to have a tennis ball that sits on top of the phone so you can get your dog’s attention when you want to take a photo. I wonder what I could use to keep the girls’ attention. I love this muffin tin hack, it’s so simple but such a great activity. I haven’t done it in so long – we moved and I haven’t unpacked my baking stuff yet, LOL! That camera ball clip is genius! I’ve never seen that before, but it would work great for Icy. She’s always looking away from the camera. This is great, and I love your photos as well!! What great ideas! I especially like the muffin tin game. That’s so easy and inexpensive. Thank you for the great ideas. 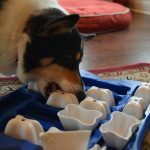 I will try the ping pong balls in the muffin tray with my dog.